I first read about FoundersCard on TPG in 2013 and remained skeptical for several years about a card membership being able to deliver tangible travel and lifestyle benefits. In hindsight, not carrying the card was a mistake, as I’ve made up my annual fee many times over each year I’ve renewed my membership. 2018 looks to be no different, with a few new benefits even making an appearance. Here are the FoundersCard benefits I plan to use this year to maximize my membership. 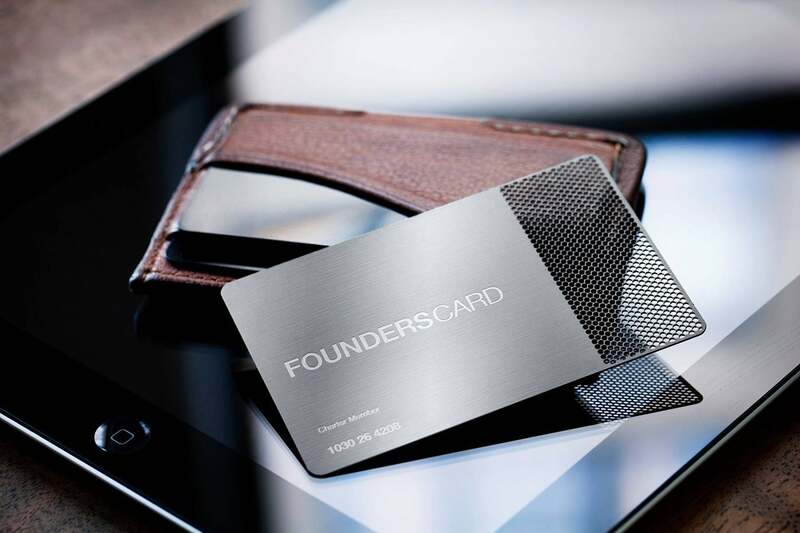 FoundersCard currently offers TPG readers a special rate of $495 per year with the $95 initiation fee waived. Sometimes you can find $395 membership rates, but it’s been at least six months since I’ve a seen a promo that low and I don’t know if it will return. Avis Preferred Plus Status — Receive bonus points on rentals and skip the airport rental counters. You’re also eligible for car upgrades of one class when available. Hertz Gold Plus Rewards FIVE STAR Status — Earn bonus points, one-class car upgrades, pay no additional driver fees for spouse/partner in the US and skip the counter at over 50 airport locations and choose your car in the Hertz Gold Choice aisle. Alaska Airlines — Get 5% off both coach and first-class fares in the continental US, Hawaii and Canada. I just used this benefit to book my wife Atlanta (ATL) to Seattle (SEA) round-trip on the airline and it saved me $30. It’s not a ton, but every little bit helps. FoundersCard will email you a promo code to use on the Alaska website for the discount. American Airlines — At publish time, no specific FoundersCard benefit for American Airlines was listed, but I hope in 2018 it’s comparable to previous years’ 5-10% discount and, most importantly, Platinum status challenge. British Airways — Receive up to 10% off flights between the US/Canada and the UK. The FounersCard website gives you a portal to book through, which automatically brings up discounted ticket prices. I put the portal to the test and searched round-trip Atlanta – Reykjavik (obviously not the UK as the benefit lists) for this summer. The normal British Airways engine gave me a price of $1,371.83, and the FoundersCard portal gave a price of $1,280.83, saving me $91. Not bad, especially since I was able to use promo card CARDOFFERU on top of the discounted price and save another 10% thanks to holding the Chase British Airways Visa Signature Card. Cathay Pacific — Get one year of Marco Polo Club Silver Tier status, which gives you lounge access to Cathay Pacific clubs as long as you’re traveling on the airline (regardless of class booked). Status is good for 12 months from activation and also gives advanced seat reservations, extra baggage allowance and priority check-in. JetBlue Airways — You receive access to the Blue Inc. booking portal, which does two things: it gives up to a 5% discount on tickets and it allows you to earn 6 TrueBlue points per dollar instead of the base 3 points per dollar earned through the regular website. A new benefit this year states that preferred flat fares for JetBlue Mint are available on select routes. The JFK-LAX/SFO fares for Mint are $1,000 nonrefundable each way, and BOS-SFO/LAX are $800 nonrefundable each way. These prices aren’t always a discount, as a quick search on Jetblue.com found Mint fares on these routes as low as $449. On peak dates, however, they could offer significant savings. Qantas — If you have plans to hop down to Australia or New Zealand and want to fly Qantas, I was quite surprised by the discount FoundersCard offers. For premium cabins, I found $1,600 off round-trip business-class and $200 off round-trip economy tickets. I don’t personally plan on using this, but that’s really a significant discount to fly the Australian carrier. JetSmarter — It’s not one of the most practical benefits, but definitely the most fun is the three month trial membership to JetSmarter with access to a free seat on empty-leg JetDeals and the ability to purchase JetCharter and JetShuttle services. Basically, you need to have the JetSmarter app open a couple times a day and hope empty private jet legs open up at the airports closest to you. You’ll then most likely hop to a random destination and be on the hook to get back home yourself, but it sure can be loads of fun. CLEAR — Get six months of free CLEAR membership to skip the security lines at airports and concert/sports arenas. After that, you can get a discounted rate of $140 per year instead of $179. After flying out of my new home airport of Atlanta a few times in the last month, I already know CLEAR is a necessity for me. Caesars Total Rewards Diamond Status — In my opinion, this is the best benefit of FoundersCard. Total Rewards properties are now all over the United States, and Diamond status saves you real money. Benefits include no resort fees, a $100 dinning credit (once annually), free parking in Vegas and Atlantic city, the ability to skip check-in and buffet lines, Wyndham Diamond status and a comped stay at Atlantis in the Bahamas (though you still have to pay the resort fee). One downside this year: You no longer get free access to Diamond Lounges in casinos. That now requires earning 25,000 Tier credit points from gambling or on-property spending. Hilton Gold Status — There are some easy ways to earn Hilton Gold either through credit cards or one of the past status matches, but if you don’t have it FoundersCard gives you yet another avenue. Simply opt in to the offer and you’ll have Gold status through March 2019. Hilton Gold gets you free breakfast, one of the best elite status perks you can receive. Marriott Rewards Gold Trial — Not as generous as Hilton, but Marriott at least gives you temporary Gold with an opportunity to extend it. Receive three free months of status and if you stay six times within the three months, you’ll keep gold through February 2019. Marriott Gold status gives you Executive Lounge access — good for breakfast, snacks, and evening happy hour. 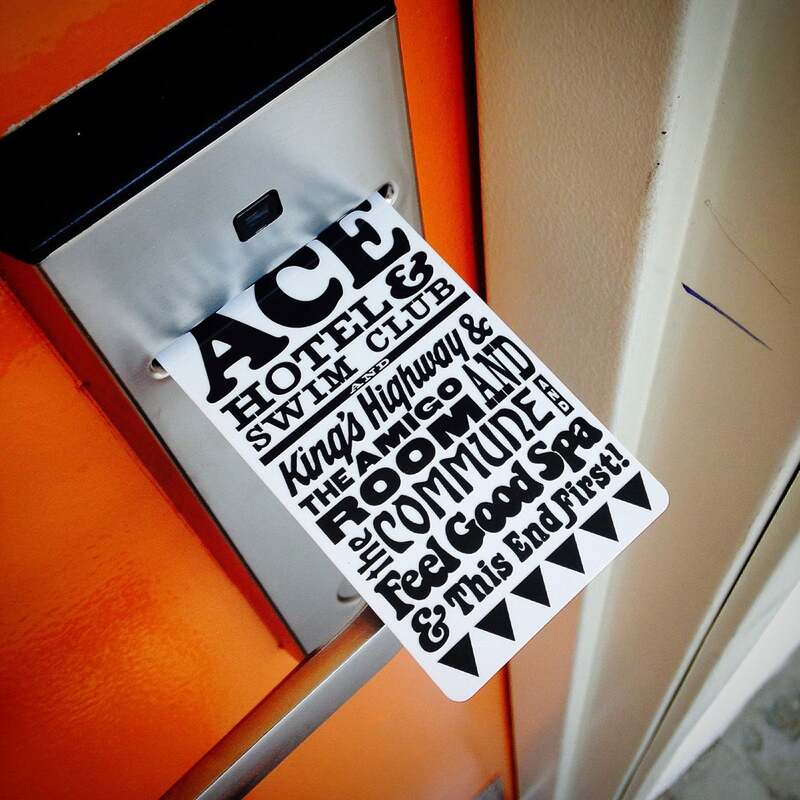 Worldwide Hotel Benefits — In many major cities around the world, FoundersCard has negotiated special rates and property benefits with specific hotels. Most properties have a special rate negotiated as 10%-25% off hotel rack rates along with a space-available upgrade, a small dining discount or free Wi-Fi. There are a lot of Four Seasons and Mandarin Oriental properties along with luxury boutique hotels listed on the FoundersCard website. While some of the discounts are nice, I typically find Amex Fine Hotels & Resorts to be a better overall value than booking through FoundersCard. Adidas — Get 30% off almost everything on Adidas’ website. I use Adidas running shoes and always need new work out shirts and shorts, making 30% a great padding to my wallet. AT&T Wireless — Save 15% off standard rates on all voice and data plans costing more than $30 per month. It doesn’t include iPad data plans, but 15% off unlimited data for mine and my wife’s phone is a pretty good deal. Audi — I don’t have the opportunity to test this in 2018, but I hope I will one year. You can buy a new Audi at dealer invoice price plus $300. Any chance to get a great price on a new car and cut out all the haggling sounds like something I would seriously investigate if I were in the market for a new Audi. You can only purchase one car per year with this discount. UPS — Save anywhere from 9%-47% depending on your weekly volume and speed of shipping when using your UPS account. You can see all of the discounts in this published PDF. If you’re into high fashion, FoundersCard probably has discounts with a few brands and services to pique your interest but are out of my scope of applicability. Also if you need virtual assistants, co-working space or almost any kind of online business solution, FoundersCard has a partner than can help. With the Caesars Diamond Status and all that comes with it, the JetSmarter three months of fun, AT&T discount, Hertz and Avis status and ability to save money with Alaska and JetBlue (plus more TrueBlue points), FoundersCard continues to earn a place in my proverbial wallet. Hopefully you can use these perks to save big in 2018. Featured photo courtesy of FoundersCard.